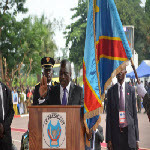 President Joseph Kabila was sworn in on Tuesday and pledged to speed up the modernization of the Democratic Republic of Congo in his second five-year term. “I will work with all compatriots who have the passion of the Congo and who sincerely want to work for its modernization. When serving the country, there are no political camps. 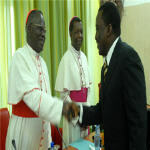 Only competence, patriotism and goodwill matter,” Mr. Kabila said. Etienne Tshisekedi declared himself president-elect of the Democratic Republic of Congo on Sunday and called for the armed forces and the police to arrest President Joseph Kabila. "I ask all of you to look for him, wherever he is in the country, and bring him to me. 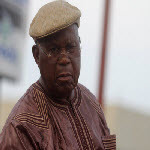 Whoever brings me Kabila here, handcuffed, will receive a very big prize", Mr. Tshisekedi said. The Supreme Court has upheld the results of the Nov. 28 presidential election published by the Independent National Electoral Commission last Friday. 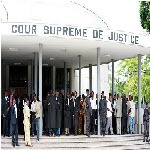 The Supreme Court ruled that Joseph Kabila won 48,95% of the votes, Etienne Tshisekedi 32,33%, Vital Kamerhe 7,74%, Leon Kengo wa Dondo 4,95%, Mbusa Nyamwisi 1,72%, Nzanga Mobutu 1,75%, with the remaining 5 candidates garnering less than 1% each. The Supreme Court held a hearing Friday on Vital Kamerhe’s appeal challenging the presidential election results announced by the Independent National Electoral Commission. 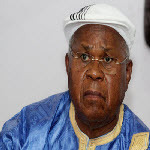 Mr. Kamerhe is the only one of ten opposition candidates who filed an appeal to the Supreme Court challenging the results of the Nov. 28 presidential election in DR Congo. President Joseph Kabila has been declared the winner of the November 28 presidential election in the Democratic Republic of Congo. 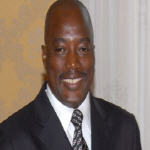 The Independent National Electoral Commission announced Friday that Mr. Kabila won re-election with 48,95% of the votes. 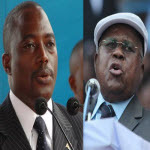 The publication of the full results of the November 28 presidential election in DR Congo has been delayed for 48 hours. The Independent National Electoral Commission said in a message broadcast on state television Tuesday night that it made the decision to postpone the results for the sake of transparency. 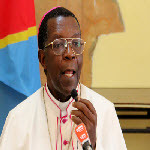 The National Conference of Catholic Bishops has called on Congolese to remain calm as the results of Monday’s presidential election in DR Congo are published. The head of the CENCO, Msgr. 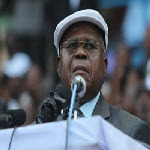 Nicolas Djomo, told a press conference on Sunday in Kinshasa that people should avoid violence. He called on politicians to accept the results of the elections.